Zumba is a Latin-inspired dance workout that has grown to become one of the most popular workouts in the world in recent years, with over 15 million people in 180 countries doing it every week. It’s an incredible workout and much fun, but the wrong shoes can make it tough and even lead to injuries. If you are struggling to find the “Good” pair of Zumba shoes, then it’s a must that you take a look at our list of the best Zumba shoes. 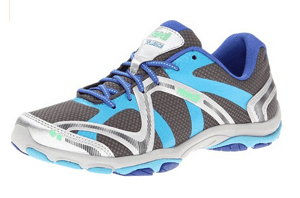 1 What Makes a Best Zumba Shoe? What Makes a Best Zumba Shoe? Most newbies to Zumba will automatically reach for dancing shoes, but they don’t provide the necessary support to perform all the high impact steps in Zumba. On the other hand, traditional athletic shoes usually don’t allow you to make comfortably the fast turns you need to. So a Zumba shoe needs to combine the best parts of both shoe types. Luckily several shoe companies such as Nike and Adidas have created specific shoe lines for dance fitness classes. 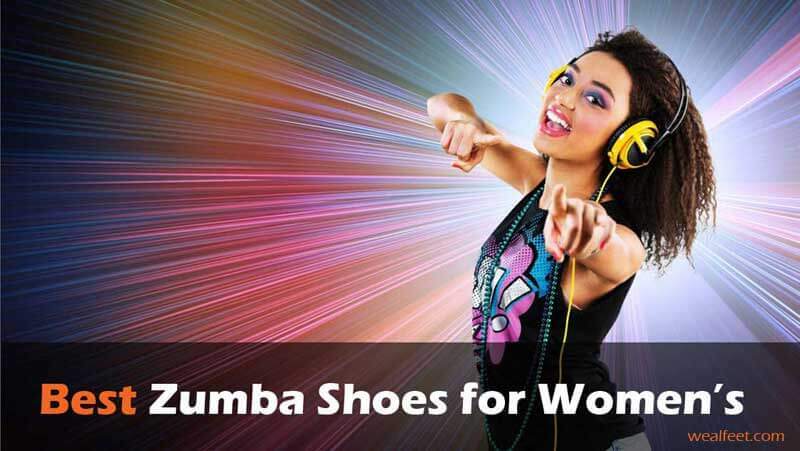 Zumba also makes their own specialized shoes, and there are some other companies creating shoes with all the right qualities. Shoes meant for cross trainers are usually also great for Zumba. One common problem women run into is that many Zumba shoes are designed for quite narrow feet. These shoes, on the other hand, are quite roomy. Dual impact cushioning gives extra protection to the toe and the heel. The upper part is made primarily of mesh to provide excellent breathability. Designed specifically to improve your Zumba performance, these shoes have a compressed midsole and special shock absorbing technology combined with Z-slide traction perfect for any sliding movements. They also feature removable insoles that can be replaced with whatever you need. The upper part is made of a special fabric designed for breathability. These shoes use a raised platform and well-cushioned midsoles to protect you while you’re making high impact Zumba moves. 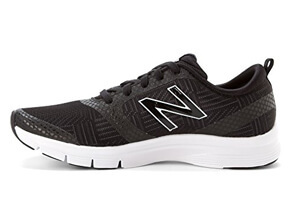 A synthetic mesh upper with faux-leather overlays makes these shoes incredibly stylish AND breathable. 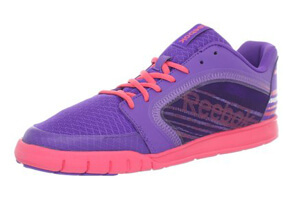 Standing out from the crowd with bright green and vibrant purple color options, these Reebok shoes also feature a unique Pivot Point and Turn Zone, which makes it easy to stay in control while you do all manner of pivots and turns. Vertical and horizontal slits add to the ease of movement. These aren’t quite as supportive as others on this list but are incredibly fun to dance in. 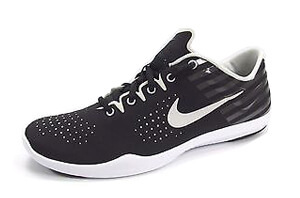 Featuring a lightweight build, a synthetic mesh upper, and perforated toe box, these shoes provide excellent air circulation to keep your feet comfortable through the most intense Zumba workouts. They also have a pivot point on the rubber soles, making turns easier. As you would assume from a pair of Nikes, they’re also quite supportive. 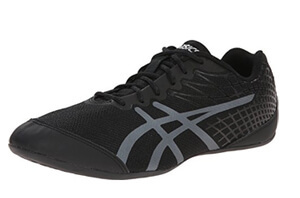 Designed with regular aerobics in mind, these shoes are less supportive than some of the others on this list, but they are incredibly lightweight. The footbed is cushioned well enough to prevent injuries, and the rubber outsole features a dance pivot point for easy turns. 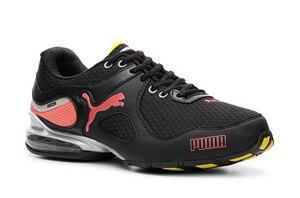 If you’re combining Zumba with other types of dance, this shoe is great for many dance styles. If you have flat feet dancing in regular Zumba shoes can be quite unpleasant. 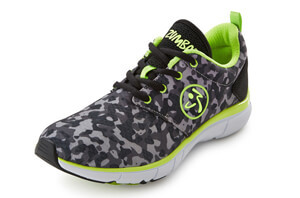 These shoes are specifically designed to make Zumba more comfortable and are one of the old standby models. Their soles are flat but well cushioned, and their upper is made entirely of synthetic mesh to make them more breathable. These shoes are all excellent for Zumba, but you should still make sure to try them on in the actual store. Everyone’s feet are different, and you never know which one will work for you until you’ve tried a little dancing in it.